Kenneth Kunz, Ed.D. is currently K–12 Supervisor of Curriculum & Instruction at Middlesex Public Schools. This post is also co-authored by Kathyrn Diskin and Elizabeth Tamargo. Middlesex School District, located in a small New Jersey metropolitan suburb, is home to a diverse student population of approximately 2,000 students. 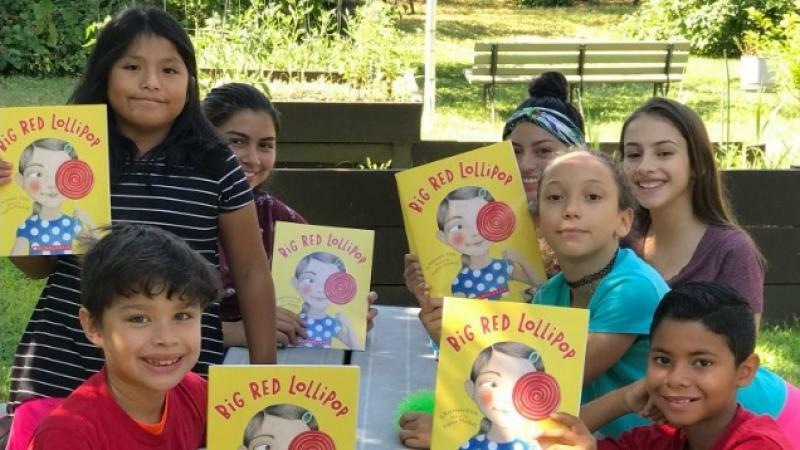 This past summer our Middlesex administrative team’s goal was centered on encouraging the English learner population to read for fun, while promoting access and equity by putting more books in the hands of our students. As Richard Allington notes in his research, summer and extensive breaks from formal school instruction contribute to significant losses in gains related to students’ reading. Our quest for resources began with a desire to uplift an already successful #READ4Fun program to broader heights with a new literacy vision. A special feature of the Middlesex School District is a community-wide desire to get involved to make an impact. During the summer of 2017, students who were enrolled in Spanish foreign language classes at Middlesex High School volunteered their time to participate in “Hablo Ingles,” a program aimed at building the confidence of young English learners at the elementary level through community-building and speaking and listening activities. New this year, we focused on students’ literacy development by implementing LitCamp. The 4-week summer literacy program took on a life of its own with the involvement of motivated high school volunteers who helped build English learners’ confidence and excitement for reading. When LitCamp first began for ESL students, materials were organized by grade level and high school volunteers participated in an after-school training to become acquainted with how to organize each 90-minute day. While materials and resources helped get the program started, it was the love for teaching and learning that made all the difference. Volunteers went above and beyond to design warm and inviting learning environments, create team building activities, and celebrate students’ learning, earning countless hugs from kids. Another key component of the program involved promoting teacher leadership by creating the position of ESL LitCamp Coordinator funded through federal title grants. In this role, Mrs. Tamargo helped to organize and supervise the volunteers, check in daily to ensure that things were running smoothly, and collect and analyze data. To further spread excitement about literacy across the community, Pam Allyn, author and Founder of the nonprofit LitWorld, visited as a keynote speaker during the district’s back-to-school kickoff day. Everyone in the school community was present (including teachers, administrators, lunch aides, administrative assistants, custodians, maintenance workers, and many more). We couldn’t agree more with her beliefs that all students have great potential to become Super Readers, and we all play a crucial role in this mission! Of course, we also believe that this excitement for literacy should last throughout the year. During the summer, students wrote post-cards to their principals, proudly announcing how many books they read and what they enjoyed most of all. Principals made their rounds throughout the schools during the first week of school to locate and celebrate each student individually—the students were beaming with joy! Continued encouragement from teachers and schools leaders combined with individualized conferring in our language arts classrooms will keep the momentum going. Summer Reading: Closing the Rich/Poor Reading Achievement Gap, Allington (2013).